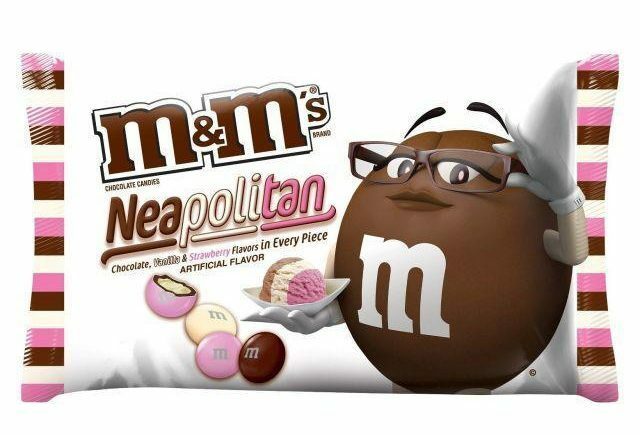 Prepare for nostalgic childhood memories to come flooding back – M&Ms have released a new Neapolitan ice cream flavoured version of the sweet treat. Just like everyone’s favourite childhood summertime ice cream, the sweets are a mixture of chocolate, vanilla and strawberry flavours. Each bag is packed with brown, cream and pink M&M’s in a nod to the look of the classic ice cream lovingly stocked in the freezers of parents and grandparents of summers past. The new flavours have apparently been going down a storm since they were first released over in the US, but sadly they’re not yet available in the UK. Currently they’re only available in the US and Australia, however, if you simply cannot contain your desperation to try them, you can snap up bags of them on Amazon or eBay. Tempting as that is, be aware you’ll be looking at incredibly inflated prices in your eagerness to get hold of them – but it sounds like it could well be worth it.